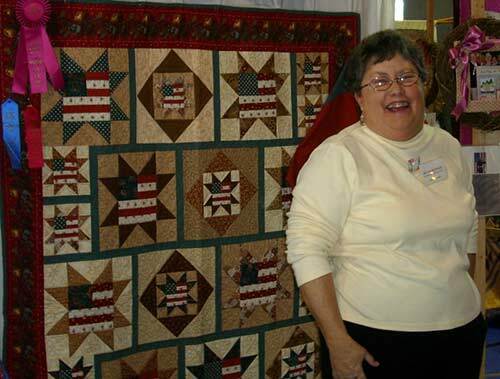 In April 2009, Quilting on the Line members formed a chapter of the Quilts of Valor Foundation. Ruth Cheslock had visited a chapter of this organization in Florida and was deeply moved by their dedication to a very worthy project. So much so, that Ruth became the leader of a group of QOL dedicated women who were interested in making a difference in the lives of wounded service men and women that sacrifice for our country every day. Since our inception, we have delivered quilts to the Red Cross at the Walter Reed Army Hospital and to the Army hospital in Afghanistan to cover our wounded warriors who mean so much to us. Over these eight years there have been changes in the QOL group members but their enthusiasm has not changed. 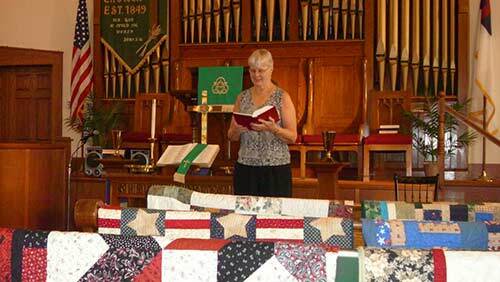 Quilts of Valor Foundation has also made some changes to their organization with a new focus of providing a quilt to cover any veteran who served our country. In 2016 when our QOL members became a part of the Foundation we dubbed ourselves the Mason-Dixon Hot Toppers with Patricia Egger as the group leader. 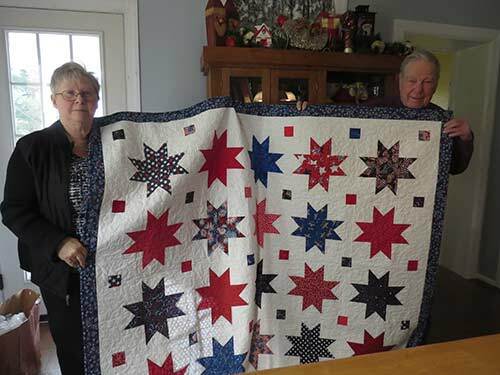 This group makes the quilt tops, locates a long arm quilter to put the quilt together, and will hand deliver a quilt to veterans who request one through our group or through the Quilts of Valor website. When we began this mission, we never dreamed we would receive the support that has been given from our community. Our group of quilters meets twice a month and we have a great time sewing love into every quilt. We welcome any new members! 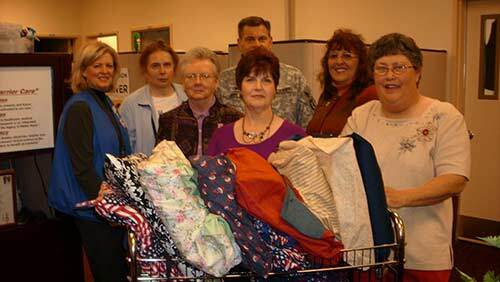 More information about the Quilts of Valor Foundation can be found at http://www.qovf.org. Contact Patricia Egger at 717-927-9310 for further information.